The province-wide SuperNet service will continue. But provincial government officials are not answering questions about a new contract with Bell Canada. The deal was announced in Edmonton, just days before the existing contract with a Calgary company was due to expire. The “broadband” SuperNet links more than 425 communities across the province, with more than 13,000 km of fibre optic cables and 2,000 km of high-speed wireless links. While designed to connect public facilities, it also provides a connection for local Internet service providers. 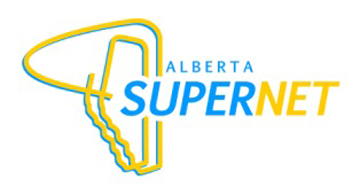 “This new SuperNet contract ensures that Albertans will continue to have access to Internet services in their schools, hospitals, libraries and public services,” said Brian Malkinson, minister responsible for Service Alberta, in a brief news release. The announcement id not say how long the contract will run, or at what cost to Alberta taxpayers. Nor did it say how many other companies had bid to run the service. Built years ago by the Alberta government to link all the province’s communities, the network’s cost of construction was estimated in 2001 at about $295 million. While the provincial budget would provide $193 million, according to a news release, Quebec-based Bell would put up $102 million. In return, the province would buy $169 million worth of telecommunications services from Bell Intrigna and Bell Nexxia over the following 10 years. But operations outside the larger urban areas would be handled by Axia SuperNet Ltd., with headquarters in Calgary. Information posted in the Alberta Treasury accounts shows that Axia NetMedia Corp., the publicly traded company that owns Axia SuperNet, was paid about $77 million between 2006 and the middle of 2011. Now Bell has announced it will be buying Axia NetMedia Corp., with no price or other terms disclosed. The Bell network already provides high-speed service to Alberta’s largest cities and towns. Axia has provided similar service to public facilities in about 400 more towns, villages and hamlets, using the provincially owned lines. It’s not known if sale of the rural network, owned by Albertans, is part of the deal. Roughly 1,420 government offices, 510 health-care facilities, 2,200 schools, 330 libraries and 240 municipalities are liked to SuperNet, along with a number of post-secondary institutions, schools, federal government locations and First Nations administrations. Officials at Service Alberta headquarters in Edmonton were not available for comment when contacted by Southern Alberta Newspapers.